Disclaimer :- I have researched the names of the men and boys below who are named on the Memorial (but sadly they are only recorded with a surname and an initial), with the Commonwealth War Graves Commission website, so I apologise in advance if any are wrong and would be very grateful for any information on the ones that I cannot find on the CWGC website, even a very small clue. The ones with –Guess – after the name is because that is the only name that coincided with the name. I will now start my research as and when more documents are released. Please contact the flintshirewarmemorial.com website. JONES, G.J. Sadly I have no details that helps identify him, any help gratefully received. JONES, J. Sadly I have no details that helps identify him, any help gratefully received. SHACKLETON, A. (Arthur) Bombardier 1427449 3 H.A.A. Regt. Royal Artillery Son of George and Alice Shackleton; husband of Priscilla Annie Shackleton, of Shotton, Cheshire. Died Between the 2nd March 1942 and the 3rd March 1942 age 29 years. Commemorated at Singapore Memorial, Location: Singapore. STONER, F. (Frank Walker)Fusilier 4209836 9th Bn. Royal Fusiliers (City of London Regiment) Son of John and Vashti E. Stoner, of Shotton, Flintshire. Died 16th February 1944. Inscription – “God Be With You Till We Meet Again.” Buried At Beach Head War Cemetery, Anzio, Location: Italy. WILLIAMS, J. (Joseph) Able Seaman P/JX 289482 H.M.S. President III Royal Navy Son of Joseph and Ellen Williams, of Connah’s Quay, Flintshire. Died 19th July 1944. Commemorated at Portsmouth Naval Memorial, Location: Hampshire, United Kingdom. WOOD, H. (Harry) Telegraphist D/JX 159074 H.M.S. Nile. Royal Navy, Son of Henry and Minnie Wood, of Shotton, Flintshire. Died 20th June 1942 age 20 years. 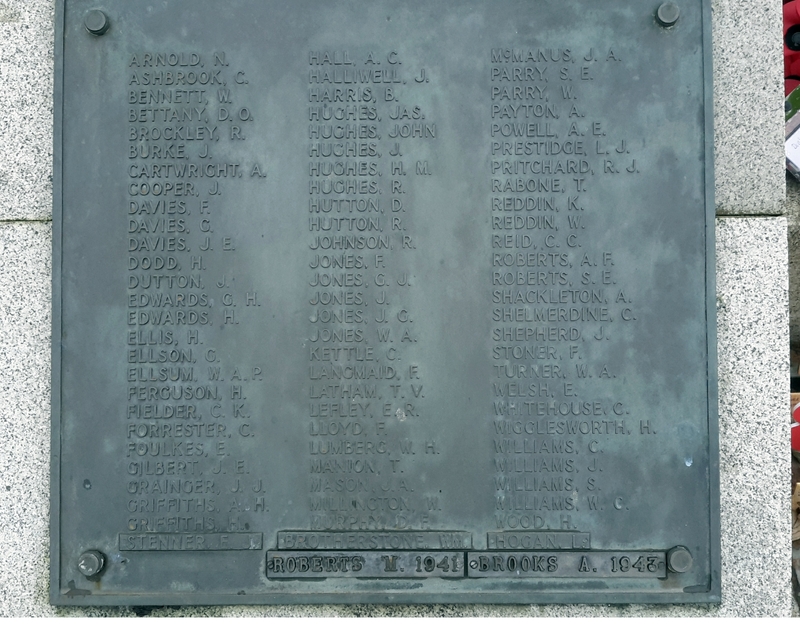 Commemorated at PLYMOUTH NAVAL MEMORIAL, Location: Devon, United Kingdom , Cemetery/memorial reference: Panel 101. Column 3.